If 2018 really was the “year of Kubernetes,” then 2019 may very well become the year of rounding out the Kubernetes ecosystem. While Kubernetes may have begun to reach maturity and offer all the benefits of containerization and microservices, along with it came the need for all those accoutrements we have grown accustomed to with legacy applications — management, monitoring, packaging, and more. And all of those needs have been fulfilled, one at a time, with offerings like Istio, Helm, and more. 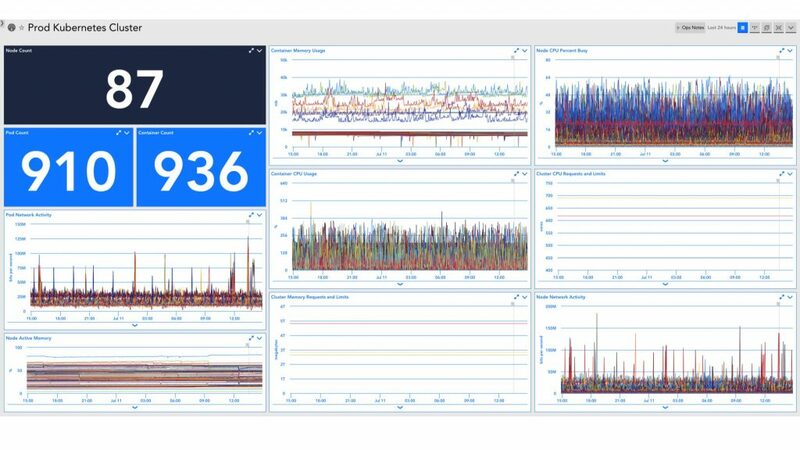 Whereas traditional applications could be monitored in traditional ways, new application architecture means new ways and requirements of monitoring, and that’s where performance monitoring software provider LogicMonitor’s two newest offerings come into play. LogicMonitor first offered a monitoring solution for containers in 2016 and expanded to cloud services such as AWS in 2017. Citing a Cloud Native Computing Foundation survey that says that 40 percent of enterprises are now running Kubernetes in production, the company has released this week two new packages “to help engineers monitor their dynamic microservices and containerized applications: Kubernetes container monitoring and LM Service Insight,” according to a statement. The two services each address a different aspect of Kubernetes monitoring, though bound together in a single, integrated solution. The Kubernetes container monitoring feature allows organizations to dive into the nitty-gritty details of ephemeral Kubernetes containers, while LM Service Insight takes a step back and looks at the broader picture of service performance, providing out-of-the-box alerts and long-term data retention. And much like the company’s other monitoring solutions, there are more than a thousand preconfigured metrics and alerts, so users don’t need to spend too much time setting up and can get to the business of monitoring. “If you want to break up a monolithic service into microservices orchestrated with Kubernetes, you shouldn’t have to stop and make sure your monitoring solution can keep up. You should never have to sacrifice business vision because of infrastructure challenges,” said Steve Francis, LogicMonitor founder and chief evangelist, in a company statement. In discussing these new features, Sarah Terry, a product manager with LogicMonitor, offered several example use cases. A managed service provider might monitor services and SLA compliance at a customer level, while a large enterprise might take a larger view and monitor stats for devices across a large network. A SaaS company, meanwhile, might focus on the overall health and performance of web services, grouping together things like load balancers, databases, and web servers, in order to get a view into requests and latency. LogicMonitor’s Kubernetes monitoring and Service Insight also come with a number of integrations, including ServiceNow, Autotask, and ConnectWise for IT service management, Anisble, Terraform, and Puppet for infrastructure automation, and Slack, HipChat, and PagerDuty for notifications.